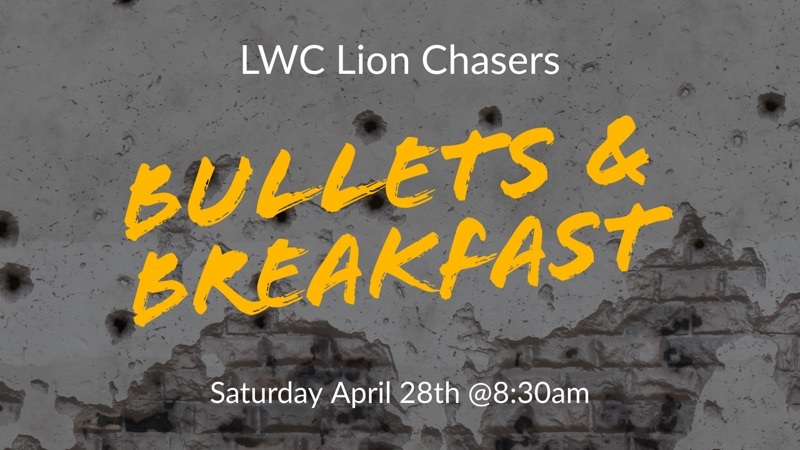 The Men’s Bullets & Breakfast is coming up on Saturday, April 28th! All men, ages 16 and up, are invited to join in! We will meet at the church to carpool–leaving at 8:30am sharp. Pistols and shotguns only; no rifles. Bring LOTS of food and bring friends. Joseph Simpson will be sharing on “Fear Not”. Don't miss it!